"My baby girl is running out of time. Her liver transplant has to happen in one week, and if I can't lose 5 kgs by then and find a way afford the surgery, I will lose her forever. My baby just turned one a month ago but I do not have any good memories of hers to cherish. She has been in the hospital more than she has at home. Her yellow eyes are a constant reminder of her pain and the intensity of her liver disease. We named her Yumna (meaning blessing) because she is truly a blessing to us, but now fate threatens to take her away from me." - Asifa, Mother. Yumna seemed like a healthy baby. 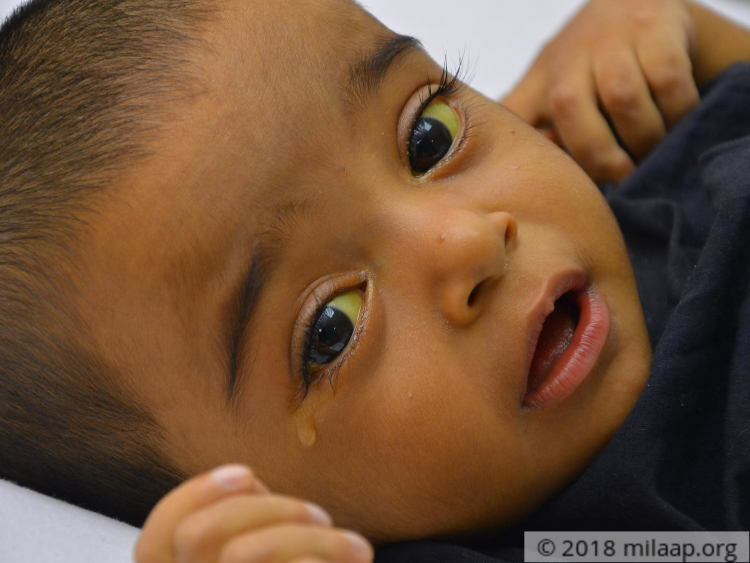 She was born with jaundice, but the doctors assured Asifa and Vazees that the condition was common and would go away in a few weeks. But even weeks later, Asifa began to notice that Yumna's skin was still yellow in colour and she was crying all the time. Asifa thought her baby wasn't getting enough food but her reports revealed otherwise - Baby Yuma was diagnosed with a severe liver disease. She underwent a procedure when she was 4-months-old to remove her damaged bile ducts, but the doctors said that in most cases it would only be a temporary solution and she might need a transplant anytime. "Yumna had a 'normal life' only for two months in this 1 year. Soon after the procedure, she developed severe infections. The yellowish tint was so evident in her eyes and skin. Her fever just refused to subside, her innie belly button had become an outie. Doctors had already told us that it is a sign that her liver was failing and she would require liver transplant. I knew that if I was a match, I was going to be donor. I felt like it had to be me, because there was nothing that I could do to ease her pain." - Asifa. Asifa has been running back and forth from the hospital for the past 7 months. Baby Yumna is in constant pain and she cries day and night. She hardly sleeps and no medicines are helping her. Her fate is turning crueller with each passing day. 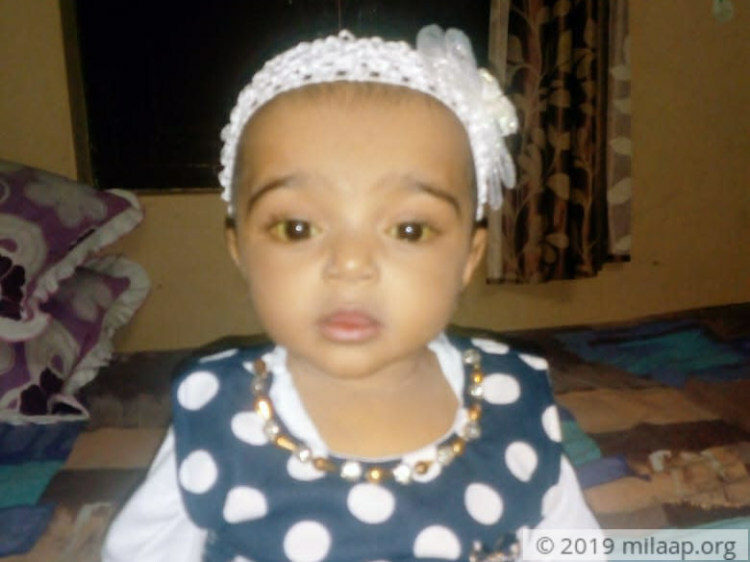 Baby Yumna has reached end-stage liver disease, which means her liver is 100% damaged and only a liver transplant can save her life. Any further delay can turn fatal for her. "My husband and I only talk about her treatment, it has completely consumed us emotionally and physically. We did our best to keep things normal for our 4 year old son but I know it affected him. My only hope is that someday he will realize how much he helped us too in this painful journey. He always sees us crying and holding on to our daughter. He also tries in his own ways to comfort her. I dread at the thought of losing her." - Asifa. Vazees owns a small xerox shop at Vellore and with the meager income he supports his family of four and his elderly parents too. He works tirelessly to save his precious daughter's life. He saved every little penny he earned with a hope to provide a good education to his children. But now he has exhausted all his savings, sold his wife's jewellery and is left with nothing. He has borrowed money from everyone he knew, yet it isn't enough to afford the life-saving transplant. 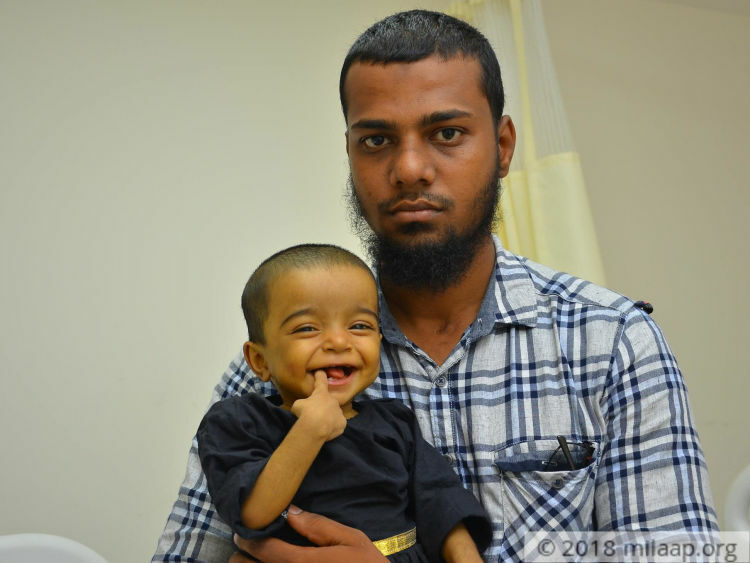 1-year-old Baby Yumna suffers from a severe liver disease that has damaged her liver a 100%. 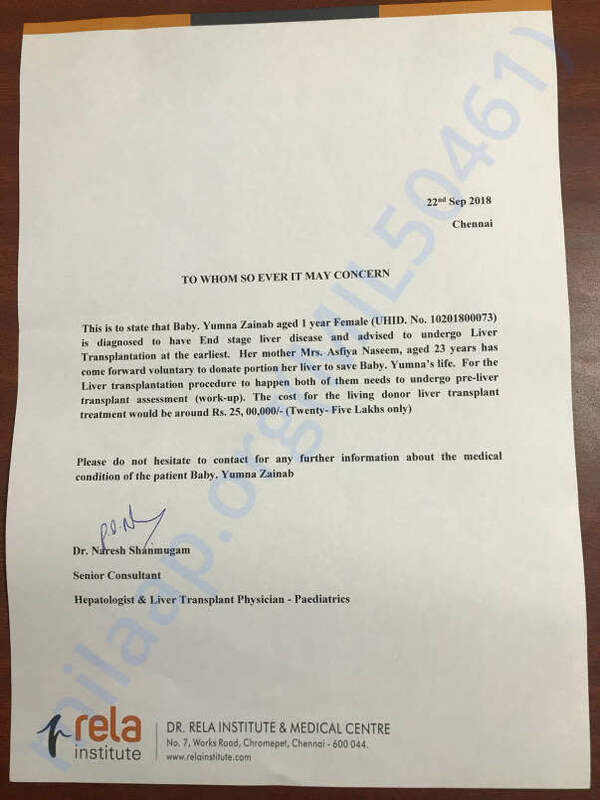 She is in constant pain and her condition can turn fatal any moment without an urgent liver transplant. Her young mother is a matching donor but she will not be able to save her if she can't lose 5 kgs in one week, and find a way to afford the transplant. Her poor father is desperately waiting for help. 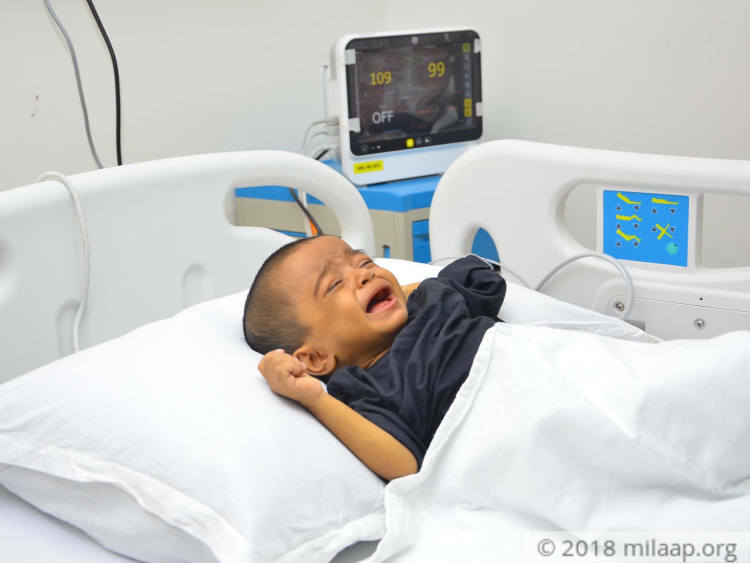 Only your support can save this baby. She has been suffering since her birth. Only your help can save her.